My work requires me to fly a lot. I spent 12 years flying in the Air Force, never crashed, but that doesn’t stop me from thinking about planes that go down. Intellectually, I know the likelihood of a plane going down – it’s slim – but emotionally it goes through my head nearly every time I get seated in the plane. All of us feel and experience emotional doubt sometime in our life and then mistake it for intellectual objections or doubts of faith. The problem arises when emotions overwhelm reason and it is impossible for reason to dissuade them. 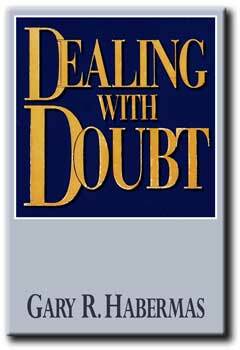 A person might recognize an emotional source of doubt by analyzing a particular situation when doubt crept in, like getting on the plane. However, when unanalyzed, faith can be pressed back and kept at bay by emotions that only a while earlier were quiet, orderly, and balanced. Often, this goes on without our conscious awareness. There are good actions one can take for the conquering of emotional doubt. For me it is simply reading scripture, often out loud so it falls on my ears, stepping away from my feelings, arguing and reasoning against my doubts. 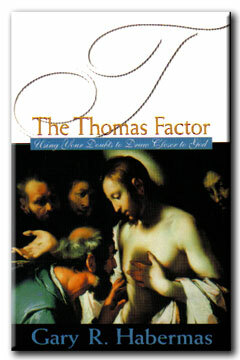 When I mentioned this conflict of doubt to a friend of mine, he recommended two books written by Gary Habermas. They have both proven to be excellent resources and are both available on Gary Habermas’ website. This entry was posted in Practical Issues and tagged Doubt, Gary Habermas. Bookmark the permalink.